PC based, trolley mounted, VOSA approved 4 or 5 Gas Analyser. Can be upgraded into a full OmiEmissioncenter. Measures CO, CO2, HC, O2 (+ NOx), Supplied with all necessary probes. 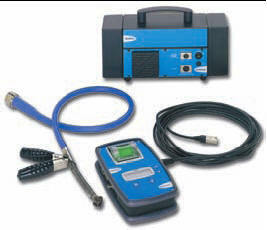 The OmiGas PC Gas Analyser provides vehicle technicians with a complete Petrol Emissions Testing solution. 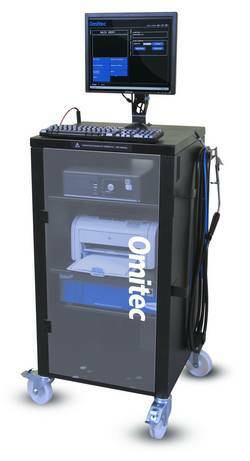 The fully integrated, PC based equipment offers 4 or 5 gas testing for both vehicle workshops and MOT testing stations. Purpose designed, robust trolley stores all equipment and probes. 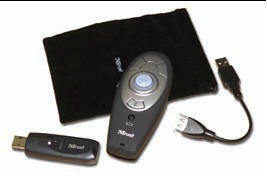 PC with 17-inch TFT colour monitor, 40Gb hard drive, CD drive, keyboard, mouse and A4 printer. All software is factory installed and tested. Latest high technology design features 'Fast Warm Up' and easy maintenance reducing downtime. 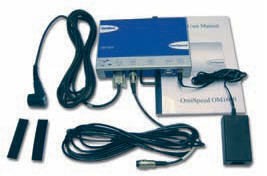 Simple, accurate and fast Universal Magnetic RPM pick up used to measure engine speed on both petrol and diesel engines. 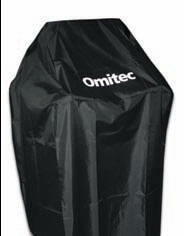 The OmiGasPC can be easily upgraded to a full OmiEmission-Centre with the Omi Smoke add on.